The Key West Twin Euro Top Plush Hybrid Mattress and Foundation by Restonic at Miskelly Furniture in the Jackson, Pearl, Madison, Ridgeland, Flowood Mississippi area. Product availability may vary. Contact us for the most current availability on this product. Wake up feeling refreshed with a Comfort Care Select Hybrid Mattress. 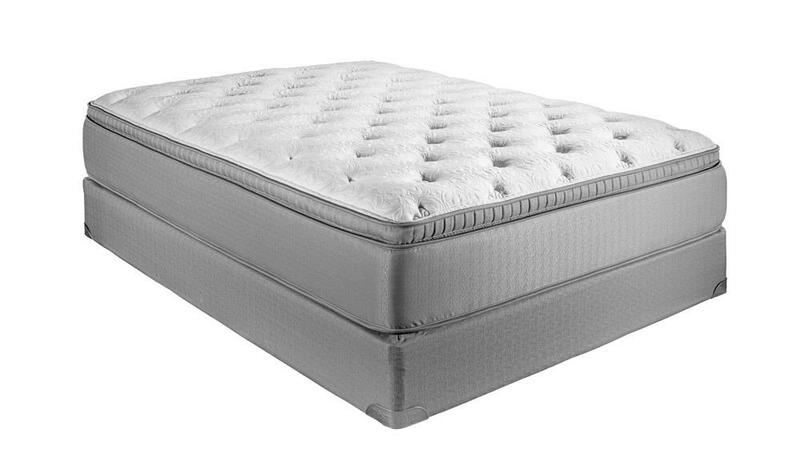 Each mattress features a layer of TempaGel to gently buffer pressure points and reduce tossing and turning. The individually wrapped coil, foam encased coil unit also cushions pressure points while minimizing motion transfer so you and your partner can experience a restful, uninterrupted, night's sleep. The Key West collection is a great option if you are looking for Mattresses in the Jackson, Pearl, Madison, Ridgeland, Flowood Mississippi area. Browse other items in the Key West collection from Miskelly Furniture in the Jackson, Pearl, Madison, Ridgeland, Flowood Mississippi area.